In September 2000, the Massachusetts Water Resources Authority ended the daily discharge of millions of gallons of largely untreated sewage into Boston Harbor. At that time many believed that Mazzone’s vision of a harbor that was safe for fishing, boating, and swimming “damn near every day’’ had been achieved. Not Mazzone. He understood that, while the Boston Harbor Project had dramatically improved water quality in the harbor and the bay, our region’s public beaches, the Fort Point Channel, and the Charles River were still plagued by persistent pollution problems that robbed the people of their right to a clean harbor. In 2001, even as we celebrated the early success of the Boston Harbor clean-up, Save the Harbor/Save the Bay was forced to suspend our “Swim for Boston Harbor’’ at M Street Beach because of the persistent pollution problems that made the South Boston beaches unsafe for swimming as often as once every five days in a typical year. Each year since then there have been, on average, 22 combined sewer overflows and more than 100 stormwater discharges, which have released millions of gallons of filthy, bacteria-laden stormwater or sewage into Dorchester Bay. Today, all that will change as we celebrate the completion of the South Boston CSO Tunnel Project, which will make the beaches of South Boston and North Dorchester the cleanest urban beaches in America. It is an important milestone in the transformation of Boston Harbor from a “Harbor of Shame’’ into a source of opportunity and pride for Bostonians. Early indications are that the project is working as promised. Since testing began in May the tunnel has already prevented the discharge of more than 40 million gallons of stormwater and sewage into North Dorchester Bay. Despite the wet spring weather, there has been no discharge on these beaches. The world is a dirty place. There will still be failed tests and red flags on these beaches from time to time, as there are on public beaches from Maine to Florida. There will also still be stormwater and combined sewer overflow discharges into Dorchester Bay after particularly large storms. 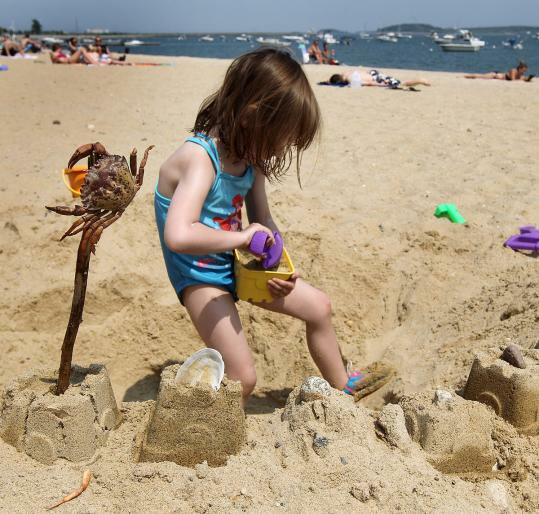 However, beginning this summer, even after a “typical’’ summer storm, there will be no discharge of sewage or stormwater into North Dorchester Bay, making these beaches the cleanest urban beaches in America. Judge Mazzone would be proud. Bruce Berman teaches public policy and marine science at Boston University’s Metropolitan College. He has served as the spokesman for Save the Harbor / Save the Bay since 1990.